Welcome to the GIS Portal at the Acopian Center for the Environment. We are located on the American University of Armenia campus in Yerevan, Armenia. 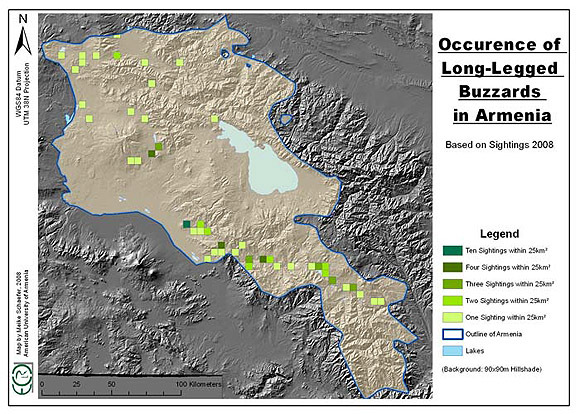 We strive to bring modern mapping methods and technologies to Armenia. 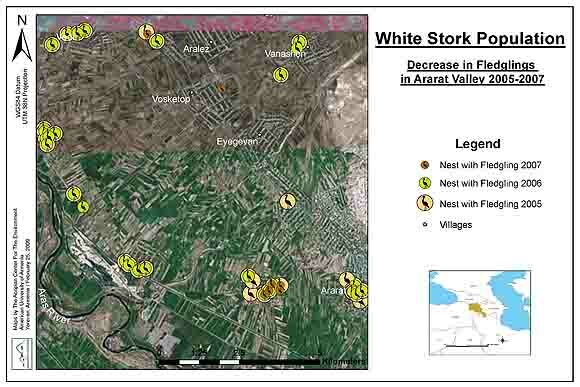 Through our study of birds and other wildlife, and the environment in general in Armenia, we have produced GIS maps and datasets that can be used for planning land use and many other critical endeavors in Armenia. Our data can be downloaded for free in our Data Downloads section of this portal. The Acopian Center for the Environment has resources to support field research and data collection in Armenia and the Greater Caucasus region for visiting scientists and research projects. The center can provide office and limited laboratory space, 4WD-vehicles with drivers, bird watching and field equipment. It can arrange contacts through its extensive network of Armenian scientists and organizations and can provide manpower for field data collection. The Acopian Center for the Environment is also the leading organization in the field of GIS and remote sensing in Armenia. It has state of the art equipment for mapping, analysis and map making purposes and holds the most comprehensive GIS database in Armenia. 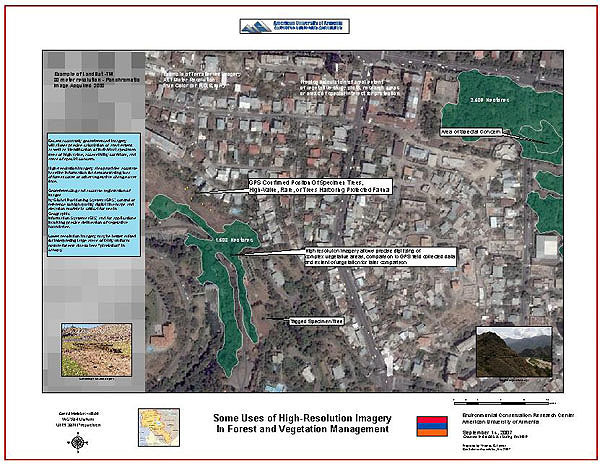 Highly qualified staff organize GIS research projects, create maps according to your specification and provide custom-tailored GIS training courses at the 25 user lab at the American University of Armenia. The center’s staff is able to conduct field research in a wide variety of disciplines or to assist visiting scientists with the logistics of conducting their own research. We also host and sponsor conferences in fields related to environmental conservation issues. Discover the world through GIS! November 18 was International GIS Day, and the Acopian Center for the Environment invited interested parties to celebrate this important technology with them at the American University of Armenia. View the news release at AUA's website.